A decision on the best use of the 119-mile corridor, previously operated by the New York Central Railroad but now operated as by the Adirondack Scenic Railroad, will take at least a year, according to DOT spokesman Beau Duffy. Duffy said DOT, DEC, and the Adirondack Park Agency will begin holding public meetings this summer. He said the agencies will look at the environmental and economic impacts of various options for the corridor. The rail corridor stretches from Remsen, outside the Adirondack Park, to Lake Placid. Adirondack Scenic Railroad operates regular tourist trains out of Old Forge and Lake Placid, but most of the tracks in the Adirondacks have gone largely unused for decades. Adirondack Recreational Trail Advocates has been urging the state to take out the tracks between the Old Forge region and Lake Placid and convert the corridor to a multi-use trail for biking, hiking, running, and snowmobiling. ARTA contends that such a trail would benefit the economy of communities along the corridor. Rail preservation advocates argue that it would be shortsighted to tear up the tracks as they may be needed someday for freight and/or passenger service. They have pushed for a side-by-side trail, which ARTA claims would be all but impossible, given the costs, environmental regulations, and the narrowness of the corridor. Adirondack Scenic Railroad also has raised the possibility of having a network of trails that connect to the corridor. For more than a year, the debate over the train has all but taken over the opinion page of the Adirondack Daily Enterprise, a daily newspaper in Saranac Lake. The paper has published hundreds of letters to the editor and op-ed pieces as well as numerous news stories. In addition, a number of towns along the corridor have passed resolutions urging the state to remove the tracks or re-open the management plan. Duffy said the public debate prompted the agencies to revisit the plan. “Given the community engagement, we felt it was time to take another look,” he said. Lee Keet, one of the founders of ARTA, said he believes the evidence will show that a trail is a better use of the corridor. &#8220I am delighted that the pressure brought by over twelve thousand citizens [who signed petitions], nearly all of the municipalities along the rail corridor, and organizations such as ours have moved this issue to where the general public can have a say. Our goal was to let democracy work, not power politics or special interests,&#8221 he said. In a news release, Adirondack Scenic Railroad said re-opening the management plan is unnecessary but believes a review will favor keeping the rail line. &#8220Destroying our past and limiting our future is not in the best interest of the region. Upon further examination of the corridor, the Railroad believes that its owner, New York State, will make a determination to complete rail restoration as they had planned to do twenty years ago,&#8221 ASR said. 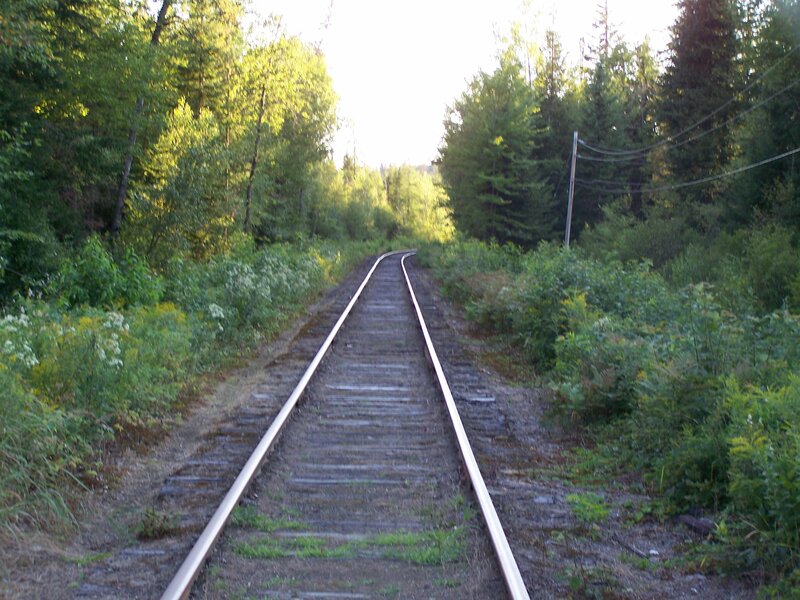 Photo of the rail corridor near the village of Saranac Lake by John Warren. Editor’s Note: The piece first appeared at Adirondack Almanack, the daily online new journal of Adirondack Explorer magazine.